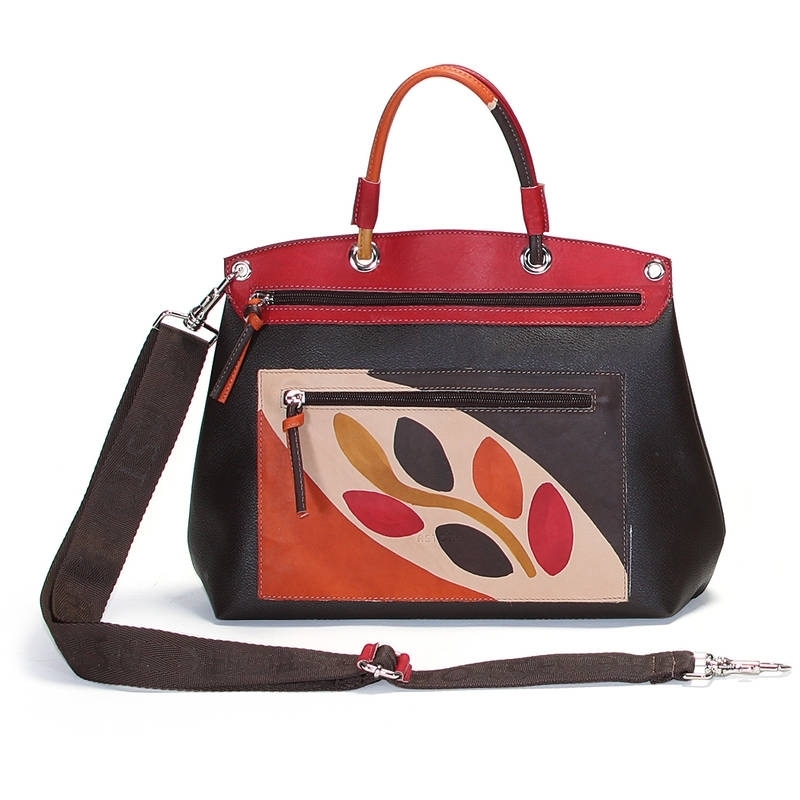 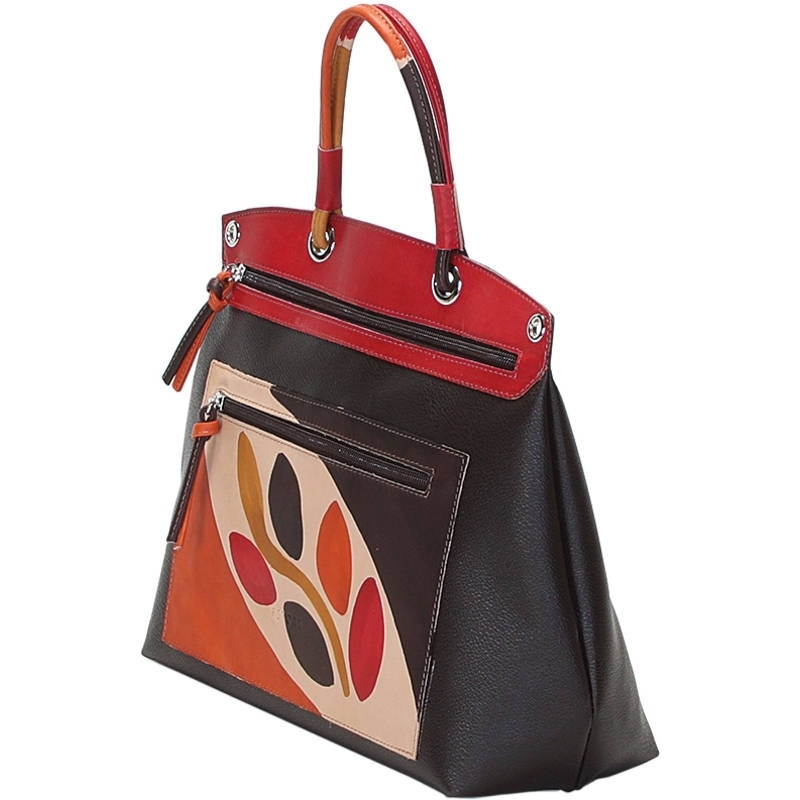 Shopper handbag in fabric material with handles and external pocket in natural hand painted leather,adjustable fabric shoulder strap, no lining inside. Colored and lively it's ideal for free time, capacious and comfortable. 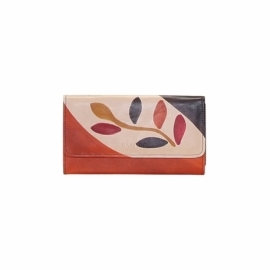 Colors brown orange yellow and red on brown background and pattern branch.